Great draws, light and easy to clip. These are my favorite draws. 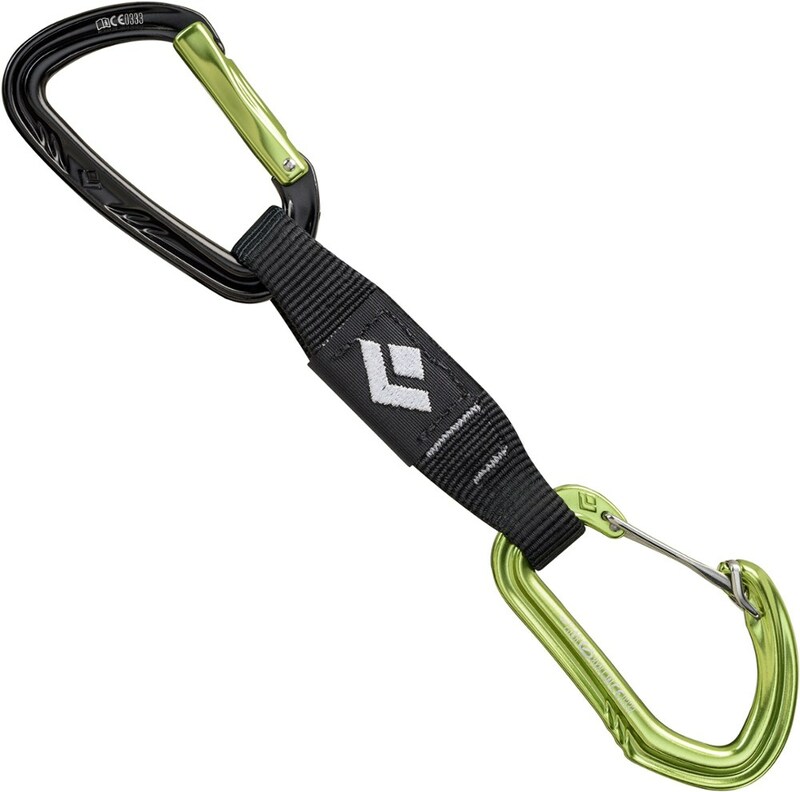 They're light, and the keyless wiregate makes cleaning overhanging routes a breeze. Unlike a lot of light biners on the market the gate opens wide enough to make clipping a breeze. Got these at backcountry.com with a 25% off coupon code. These are some pricey draws if you pay full retail. These babies are very very light, almost too light. They took some getting used to after years of old ABC and Stubai draws. 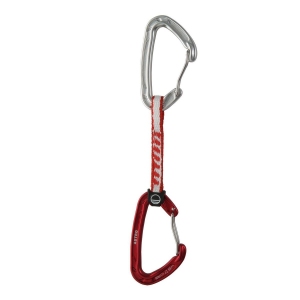 The keyless notch on the red clip biner is great for not getting the rope snagged. 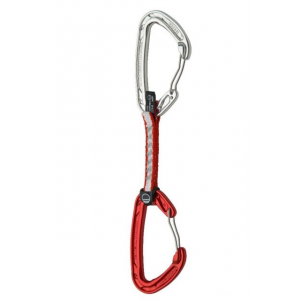 The full size red clip biner also has a rubber o ring attached to the sling so it will not move. 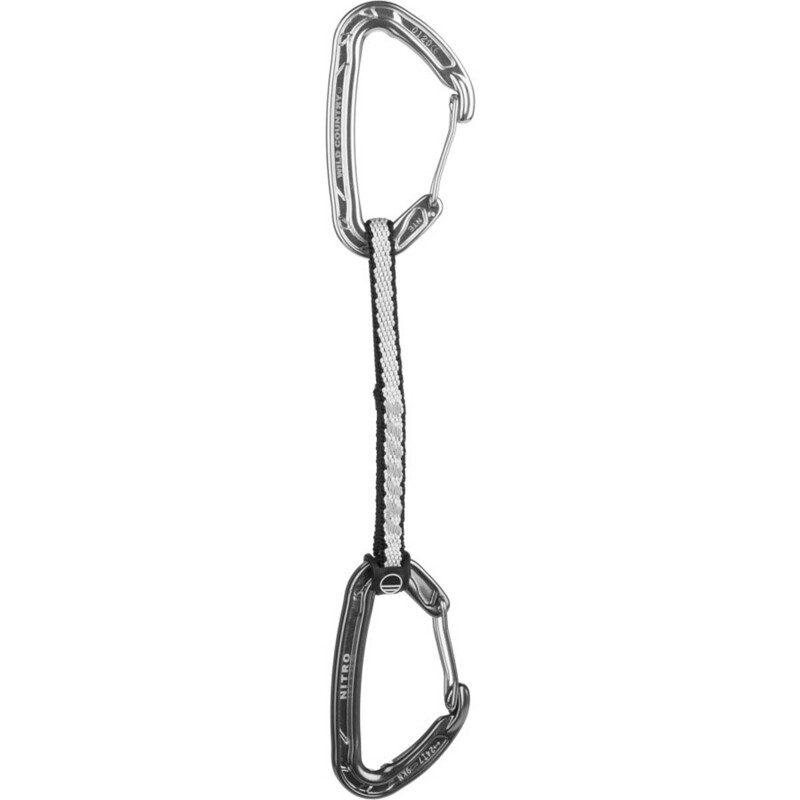 For sport climbing you barely notice they are on your harness, I also carry about 6 of these when I'm trad climbing for clipping nuts or using them as extenders. The only issue I've experienced is the biners have really gotten scrathed and nicked up after a few uses. 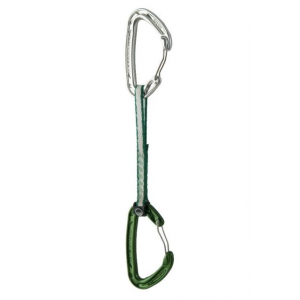 Bottom line is these are outstanding draws if you are looking to lighten your load, especially for trad climbing. 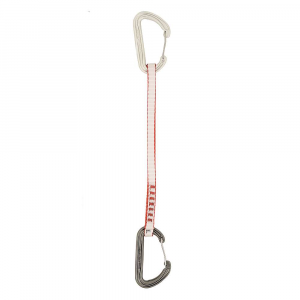 The Wild Country Helium Clean Wire Quickdraw is not available from the stores we monitor. It was last seen March 6, 2019	at CampSaver.com.